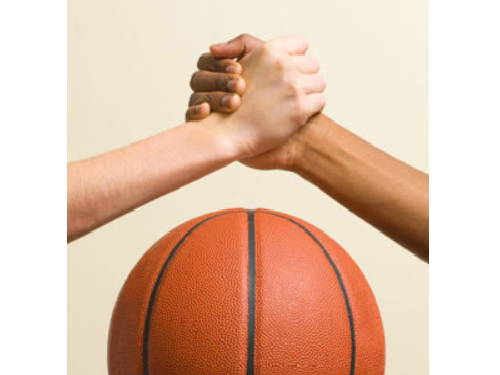 Good sportsmanship is an important part of sports, just like scoring points or winning games. Learning how to be a model of good sportsmanship is one of the life lessons that children can learn from sports. It is important for our Parents, Coaches, and Officials to help our athletes understand and value good sportsmanship while making sure they have a safe and fun sports experience. Although this is about baseball, this is a great story about sportsmanship The Way It Should Be! Whether your team is winning big OR being beaten badly, you should always remember these rules of good sportsmanship. Win with Style, Lose with Style - Everyone enjoys winning and no one likes to lose but in most sports there is a winner and loser in every game. If you lose, its OK - Don't blame the refs and don't blame your teammates. Think about how you can improve your game and play better next time. Set an example of the behavior you’d like your child to have - Be calm, conﬁdent and positive. Cheer for good plays on both teams. Let the Coach, coach! - Don’t give advice to your child or to other players during the game. Respect the officials, EVEN if you think they made a mistake - When it comes to the ofﬁciating – silence is golden, no matter what happens. Set a positive tone on game day by shaking hands with the opposing coach and officials - The players, fans, and opposing coaches will notice your gesture of sportsmanship. Plus, it will remind everyone that basketball is just a game and you're all there for the kids. Always be a model of good sportsmanship. Don't yell at officials or question their judgment. If you aren't a model of good sportsmanship, you can't expect your players or their parents to be good sports. Shake hands after the game. Win or Lose, have your players line up and shake hands with the opposing team and its coaches. If your team won, your players should tell their opponents that they played a good game, and if your squad lost, your players should congratulate the opponents on their victory.